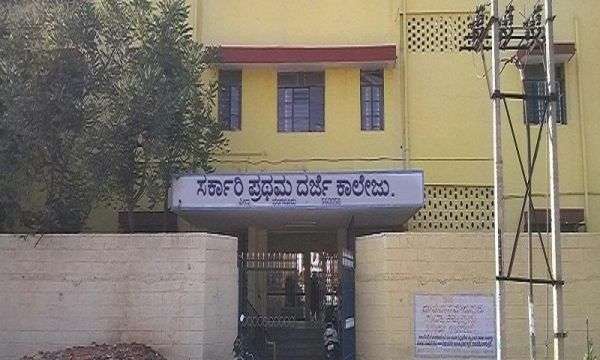 Government First Grade College, Peenya, Bangalore, established in the year 2007. The college offers Arts, Science, Commerce and Management under graduate courses. About four hundred students are pursuing graduation. Standing apart from other colleges, our college has established itself a platform for socially and economically weaker section’s students basically children of industrial labors, by providing all round development. Apart from the Academics, the institution encourages the students to involve themselves in extracurricular activities with a whirlwind of opportunities available throughout the year. The college offers Bachelor degree course. A variety of teaching and learning techniques are employed to impart knowledge and skills to students at Government First Grade College Peenya. Even in the absence of own building and amenities college has justified its services with the dedication of highly qualified and enthusiastic academicians. With the encouragement of the head of the institution, the teaching and ministerial staffs, the students are participating well in both their academic activities and have come up with good results from the past five years. The college has got the committees including scouts and guides, cultural and sports committee and NSS units which are prerequisite for the NAAC.